I don’t have too much to say about this day, but I wanted to share the pictures with you because people who aren’t very familiar with Paris might not know about this area technically just outside of Paris, La Défense. 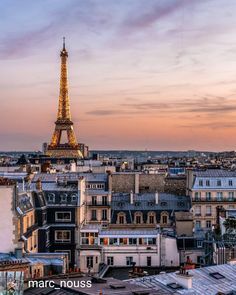 Although Paris is a huge city, you will notice that there are not many skyscrapers there. You have the 59-floor Tour Montparnasse, which is still shorter than the Eiffel Tower, and after it was built, the Parisians hated it so much that they now have height restriction laws. La Défense is the major business district of Paris, (but like I said, it’s not technically in Paris, it’s juuussst to the west of Paris on the metro line 1) and here is where you’ll find the skyscrapers, 72 of them to be exact. While in Paris, especially when you have a good view, it’s hard to miss La Defense in the distance, and it has a very interesting skyline. Here is a picture from the top of the Arc de Triomphe. This was just another day when I woke up late with no plans and nothing to do, so I just decided to go to an area I’d never visited in La Défense. It is a fairly long metro ride from my apartment in the 19th, but honestly not bad for going all across Paris into the suburb. When you come up from the metro, you are face to face with La Grande Arche de la Défense, which like the huge center piece of the district. As you can see, it is totally HUGE. It was built in the 1980’s and is perfectly in line with the Arc de Triomphe and the Arc de Triomphe du Carrousel at the Louvre. It is so large that you could fit Notre Dame, which is pretty huge in itself inside it! I was pretty blown away with the size, so I spent some time taking pictures and then climbed the steep steps to see the view from inside and the other side of the arch. After that, I walked around much of the district, looking at the many skyscrapers and the fountains and cool sculptures they have scattered around. Many of the buildings were just normal square buildings, and others were unique shape constructions. La Défense is home to the headquarters of many French corporations and is just one of the most major business hubs in Paris. Since I went on a Sunday, it was pretty empty, most of the people were just walking around like I was. It was very quiet and felt a little deserted, (for Paris–there was still quite a few people around by New Mexico standards). My dad likes to refer to this area as “the downtown area”, but I would say it is a little different than what I would normally associate with a real “downtown” area in the U.S. There weren’t many restaurants, entertainment, or really anything to do there besides work, so it was empty on the weekend, which is a little different that what I think of as a downtown. I would like to see what it is like on a typical work day though, I’m sure it is much more lively. Once I’d seen everything I wanted to see, I made my way back towards the metro, where there is also a large underground mall called Les Quatre Temps, or 4Temps. There were many stores I knew, and quite a few I had never heard of. I intended to try to buy one or two new pairs of jeans since I one of mine had been lost and or stolen in Dublin.. another weird story.. I tried going in a few stores, but the mall was super crowded and I started getting annoyed. I’m not a huge shopper, especially in crowds, so I couldn’t deal. I did buy a new carry on sized suitcase, since mine broke in London, and walked around a little more until the stuffy heat and amount of people got too irritating. I went back home and was able to do my normal dinner and Sunday night Facetime with my family. blog and wished to say that I’ve really enjoyed surfing around your blog posts.